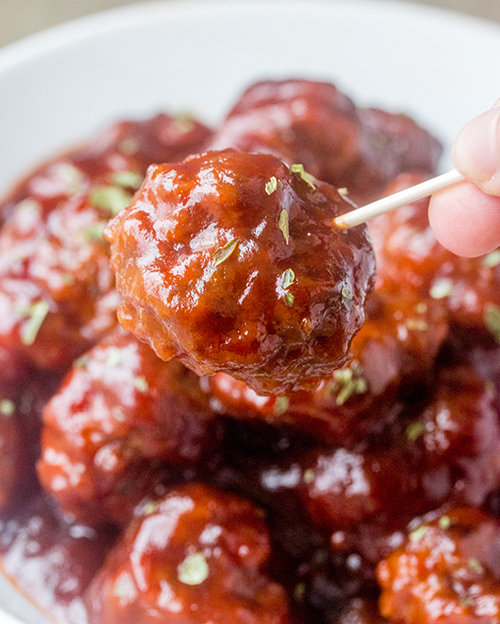 This sweet and tangy Cranberry BBQ Cocktail Meatballs recipe is fitting for an easy holiday appetizer or make it into a meal served over rice! These would be a hit for parties, Christmas Eve or New Year’s Eve. Hello, you perfectly perfect holiday party appetizer. Also, hello to the perfect dinner or game day snack. Since it’s November, let’s focus on the holidays! They’re almost here and sometimes that makes me sit here and have to pinch myself. I love this time of year for so many reasons, but mostly for the delicious food I get to consume in large quantities. 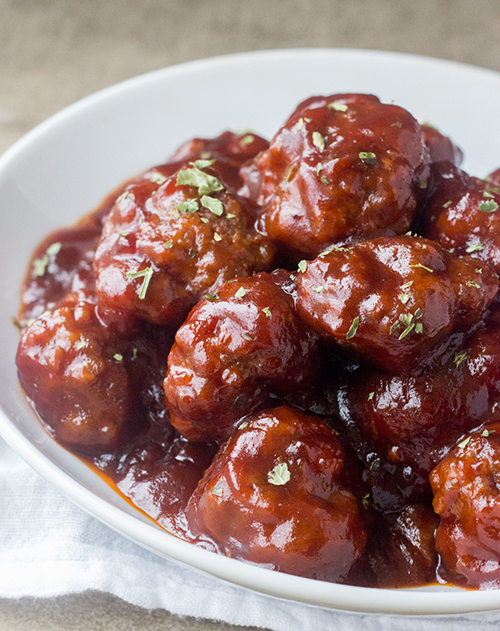 These Cranberry BBQ Cocktail Meatballs make me want to eat meatballs every single day of my life. My love for meatballs is undying, guys. I make these Crock Pot Italian Meatballs and these Slow Cooker Grape Jelly Meatballs for almost every holiday, potluck, or shower. These Cranberry BBQ Cocktail Meatballs start out by being browned in the oven and then they simmer on the stovetop for an hour (yes, an hour, but it’s mostly hands-off) in the sweet, tangy and slightly spicy sauce. 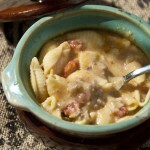 The hour of simmering allows them to soak up that amazing flavor of the sauce! They do have a little kick to them from the BBQ and Chili sauce but I would not consider them spicy at all. I have been using Moyer beef in a lot of my recipes lately and I used their delicious ground beef in these meatballs. I am lucky enough to have a grocery store less than two miles from me. This works out great since I am at the grocery store practically every single day of my life. I don’t know why I do that to myself, but I am just not a planner when it comes to meals. Rest assured I am trying to get better at it! My local Tops Friendly Market carries Moyer beef in a wide variety of cuts (each Tops store seemed to have different cuts when I visited, so keep that in mind) and I know I can always count on some good quality beef when I purchase it. Moyer beef is available in USDA Prime and Choice. I love that I can feel confident that buying their beef is helping to support local communities and farmers! I wanted to give a little background on Moyer beef in case you are new to the brand. Their beef is produced and sourced locally by small family farmers in the Northeast, and shipped fresh to your grocery store. Their business is rooted in partnerships with over 4,000 northeast small family farms! 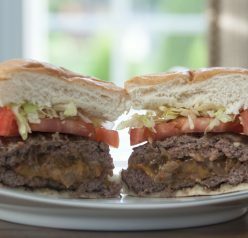 It doesn’t get much better than local beef putting wholesome meals on the table for households throughout the northeast. I trust their quality as their beef has always been fresh and it’s raised with care on local family farms. 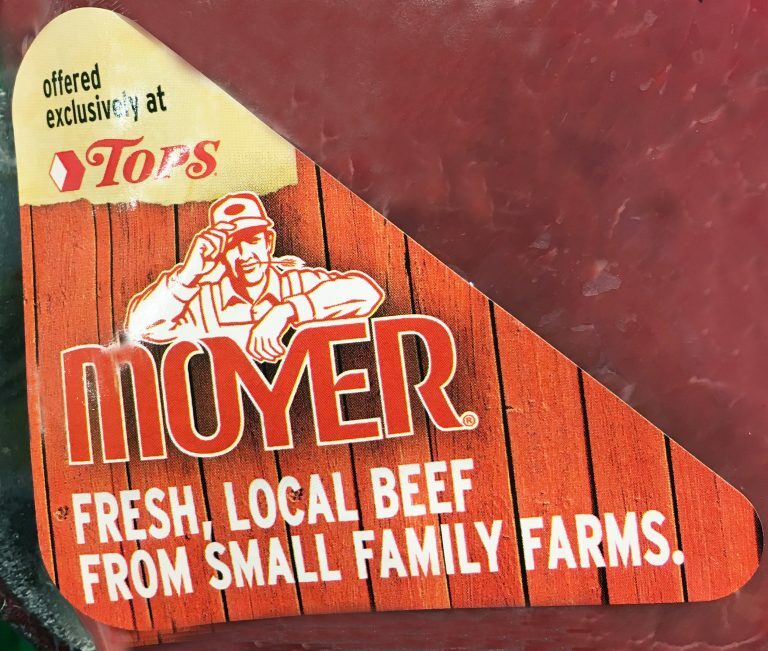 Not all Moyer Beef is labeled, so ask your butcher what is Moyer brand if it’s not already labeled like this one is. 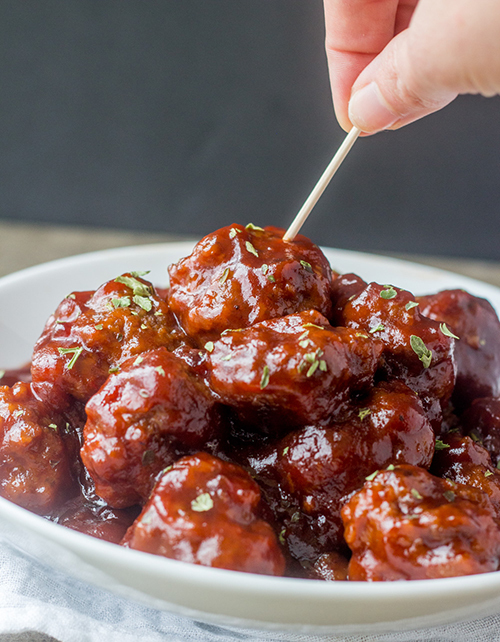 These Cranberry BBQ Cocktail Meatballs are so versatile and great for so many occasions. I especially love them for parties and entertaining. I just have one request: when you make this recipe, don’t forget to invite me over! I’ll bring my appetite. 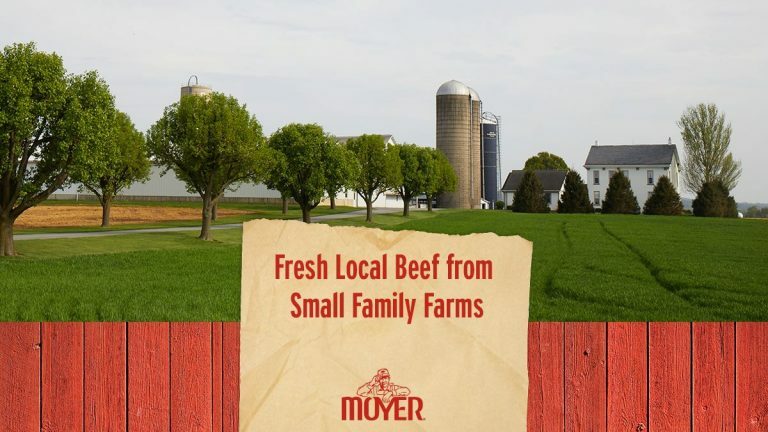 If you would like to find out where the nearest store is that you can get your hands on some fresh and local Moyer beef, be sure to visit their store locator. Here is my “how to” video with step-by-step instructions on how to make these Cranberry BBQ Cocktail Meatballs! 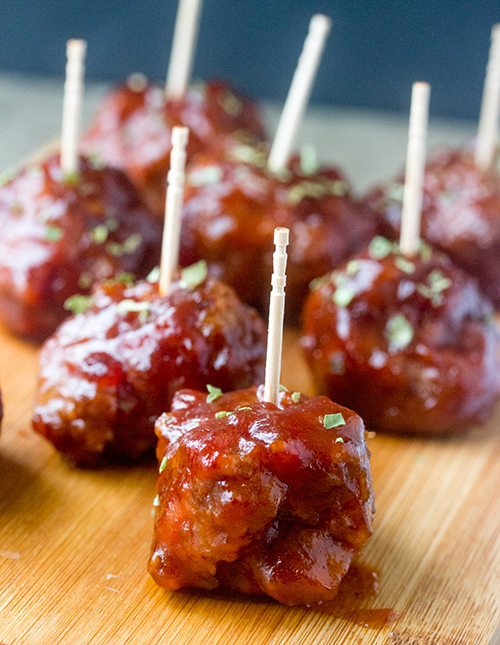 Sweet & tangy Cranberry BBQ Cocktail Meatballs recipe perfect for an easy holiday appetizer. They would be a hit for parties, Christmas or New Year's Eve! Preheat oven to 350F and line a baking sheet with parchment paper; set aside. In a large bowl, combine Moyer ground beef, breadcrumbs, eggs, chili sauce, Worcestershire Sauce, onion and salt. Mix until all ingredients are incorporated. Try not to overwork the meat which causes tough meatballs. Form into approx. 1½ inch meatballs and place on the prepared baking sheet. Leave at least 1-inch space between meatballs. Cook at 350F for 10 minutes then turn each meatball over. Cook another 10 minutes and remove from oven. While meatballs are cooking, prepare the sauce. In a large skillet over low heat, combine all sauce ingredients. Stir until well blended then remove from heat until the meatballs are ready to be added. When meatballs are cooked, place them in the sauce in the skillet and simmer on low for 1-hour or until sauce has thickened. Garnish with fresh, chopped parsley before serving. If serving as an appetizer, put toothpicks in each after transferring to a serving plate. I make a similar version of this for parties – it’s always a hit! Love that you made your own cranberry BBQ sauce too – that’s so amazing! Who can resist meatballs? Certainly not I! I’ve had plenty of BBQ ones, but never with cranberry added — terrific idea. Thanks! These would be very popular and hard to resist at any party. I am thinking up the menu for my upcoming holiday gathering. I need meatballs like these! Yum! I feel like meatballs make up 80% of a well-balanced diet. These look amazing, and with Christmas and NYE coming right up, I have plenty of excuses to make these (even if I consume them all before they can make it to any parties)! Those sound absolutely divine! Appetizers like these meatballs are perfect for the holidays with that dash of cranberry thrown in to the mix. OM nom nom! Those sound so yummy! I’m gonna bust out a plate piled to the ceiling with these bad boys this Christmas! Meatballs are always a perfect appetizer and so easy to prepare. I have tried the worcestershire and grape jelly variety but never seen a recipe using cranberry sauce. Sounds yummy! I imagine it gives it a zing of flavor! Wow! The photos of those meatballs are amazing I want them now! I like the idea that the Moyer beef is from small family farms. Wow, this sounds absolutely delicious! 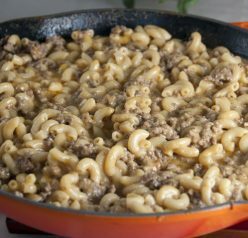 My family would love to try this recipe, I could see myself hosting some tailgating parties with this recipe. These sound super yummy. I am going to have to try them out! They are such a festive appetizer for a Christmas party. Yum, these sound delicious. These would be perfect for new years eve. I always make meatballs, and I’d love to try this recipe this year. These sound like they’re right up my alley. I love a touch of sweetness when it comes to meatballs. I love meatballs. This actually sounds quite delicious. I’m going to have to try it the next time I make some. Meatballs is probably my daughter’s favorite all-time food. I do love it too. I would be interested in this holidays themed cranberry sauce with the meatballs. Looks amazing. Drolling over here! I love making meatballs but rarely have the time! I need to make some time this month to make this recipe!